Jason Mercier (overall) and Anthony Zinno (2015 POY) remain on top, while Nitsche and Finger join overall top 10. 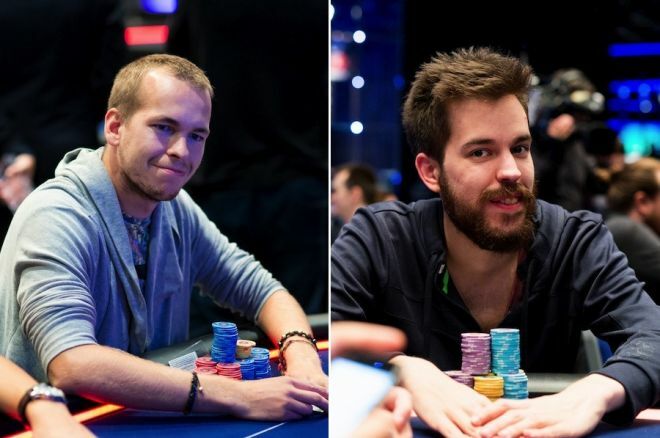 Dominik Nitsche equals his highest-ever GPI ranking while Martin Finger joins the top 10 for the first time. Each week, the Global Poker Index releases a list of the top tournament poker players in the world using a formula that takes into account a player’s results over six half-year periods. For a look at the entire list, visit the official GPI website. Here’s a look at the rankings as of September 23, 2015. It’s yet another week at the top of the 2015 Global Poker Index Player of the Year leaderboard for Anthony Zinno. That makes 12 weeks at No. 1 for Zinno. Meanwhile the rest of the top 10 was relatively quiet this week, with the same 10 players occupying those top spots and only Scott Seiver moving up from No. 8 to No. 6 after notching a few POY points for finishing fourth in one of the recent $25,000 buy-in ARIA High Roller events. Speaking of, two of those ARIA High Rollers were staged, with Thomas Marchese winning one of them (for $252,400) and taking third in the other (for $226,960). Those two finishes helped Marchese move up from No. 30 to No. 15 in the GPI POY standings this week, the biggest mover of anyone near the top part of the rankings. Jason Mercier remains the top-ranked tournament player in the world for a 10th-straight week, with Byron Kaverman and Zinno remaining his nearest challengers at present. There are two new names in the overall top 10 this week as two Germans — Dominik Nitsche and Martin Finger — moved up to claim spots. Nitsche climbed from No. 11 to No. 8 to rejoin the top 10 once again, while Finger — coming off a strong performance at the European Poker Tour Barcelona festival that included four cashes and a win in the $25,000 High Roller — ascended from No. 17 to No. 9. Nitsche equals his highest-ever ranking, having spent a few weeks at No. 8 back in August, while for Finger this marks his first time inside the GPI top 10, his previous high having been No. 13 a few weeks ago. Both players have been remarkably consistent over recent years. Finger has been ranked among the top 100 every week since December 2012, while Nitsche has been in the top 100 almost every week since the summer of 2013 (save a few weeks hovering just outside it). Only five new players were able to push their way into the overall GPI top 300 this week, with David Levi the highest ranked among them. Levi went from No. 304 to No. 236 after finishing fourth out of 393 in the $1,650 buy-in Commerce Poker Series Main Event last week. Checking out this week’s biggest gainers among those in the GPI top 300, Richard Kirsch catapulted all of the way from No. 665 to No. 297 to top this list thanks to his recent victory in a $1,500 event in the WPT Borgata Poker Open. Kirsch returns to the top 300 after having last been there in January of this year, with his highest previous ranking being No. 275. Finally among players still in the top 300 this week, Yann Dion dropped the furthest, going from No. 165 to No. 229. There are events happening at bestbet Jacksonville this week, at the Casino de Namur in Belgium, and at the Casino de Marrakech where the World Poker Tour National series is visiting, while the Parx Casino Big Stax XIII series kicks off next Tuesday. Was Vanessa Rousso Able to Capture the $500,000 Top Prize on Season 17 of Big Brother?